Createspace Independent Publishing Platform, 9781535325295, 376pp. From the bestselling author of The Spaceship Next Door What would you do if you could see into the future? As a child, he dreamed of being a superhero. Most people never get to realize their childhood dreams, but Corrigan Bain has come close. 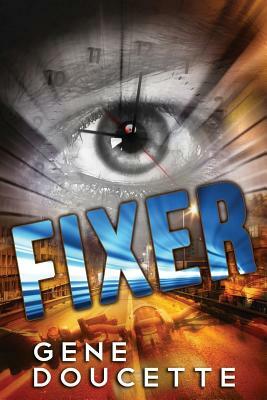 He is a fixer. His job is to prevent accidents-to see the future and "fix" things before people get hurt. But the ability to see into the future, however limited, isn't always so simple. Sometimes not everyone can be saved. "Don't let them know you can see them." Graduate students from a local university are dying, and former lover and FBI agent Maggie Trent is the only person who believes their deaths aren't as accidental as they appear. But the truth can only be found in something from Corrigan Bain's past, and he's not interested in sharing that past, not even with Maggie. To stop the deaths, Corrigan will have to face up to some old horrors, confront the possibility that he may be going mad, and find a way to stop a killer no one can see. Corrigan Bain is going insane . . . or is he? Because there's something in the future that doesn't want to be seen. It isn't human. It's got a taste for mayhem. And it is very, very angry.